/ Static Noise in Ears: What is It and What to Do About It? Static Noise in Ears: What is It and What to Do About It? Have you ever experienced this strange, annoying, static noise in your ears after a particularly loud concert? Or if not static noise, then at least strange wheezing, buzzing, peeping or thumping no one but you can hear? Don’t worry, this static noise is a common occurrence, medically called tinnitus – it’s just us hearing sounds without a visible external source. In the following text, we will learn more about the nature of this static noise in ears and all its forms, and see just how to deal with its annoying presence. Static Noise or Something Else? Static noise is merely one of the possible forms of tinnitus. It often sounds as static, but it can also sound like buzzing, repetitive wheezing, ringing (hence the expression “My ears are ringing!”), beeping, even clicking. This static sound may occur in just one ear, or in both of them. Its strength and length vary from case to case and from person to person. Sometimes it’s short, sometimes it lasts longer. Sometimes it’s merely a few seconds long, sometimes it lasts a bit longer than that. Even its strength is not constant: for someone, this static noise is weak, barely audible, but for others is exceedingly high-pitched. Everyone experiences static noise in ears at least once in a lifetime. When in total silence, after being exposed to a loud noise, you’ll be able to hear this static, or wheezing, or buzzing, or ringing in your ears. When those sounds become intrusive, the static becomes tinnitus. 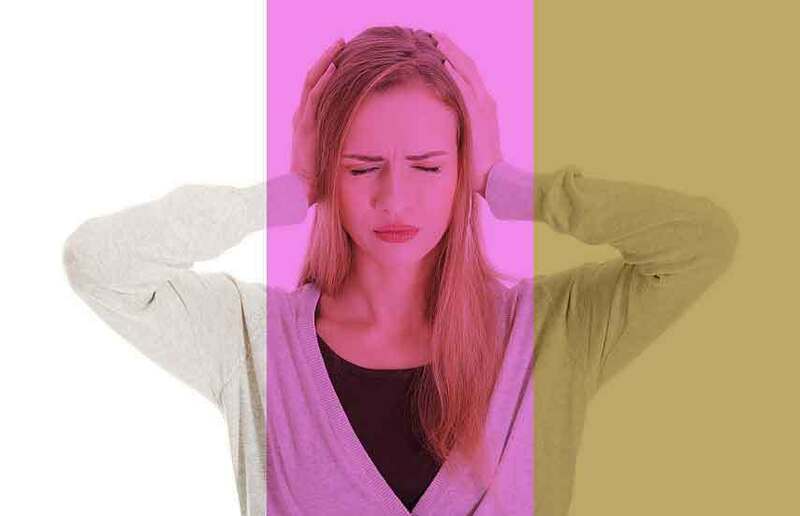 No need to worry – static noise is usually not serious, but it can be a sign of a greater problem. Generally, drugs, infections or injuries can cause the appearance of static noises, but it can also be a sign of a potentially serious mental issue. The most common cause of the static in your ears is extremely loud noises and sounds. Singers usually have issues with static and ringing after the concert, soldiers on the battlefield can often hear it, even farmers after working on loud types of machinery can be annoyed by it. If you’re hearing the static for prolonged periods of time, it would be a good idea to see a hearing specialist. They could examine your ears condition, check your hearing, and see if there are any serious issues causing it. No person experiences the ear static in the same way or with the same levels of intensity. With some people it’s barely noticeable; they really need to focus in order to hear the static. Other people hear it quite clearly, though without any extreme reactions to it. Yet, there are cases where the static endangered people hearing it. Not only was it piercingly loud, but it was also equally as painful for them. The pain interfered with their everyday life, and it was so debilitating they are not able to function properly. With some of the people inflicted with such an extreme case of the static noise in ears, the prolonged or constant presence of the static may induce anxiety and depression. This has more to do with the overall psychological profile of the patient rather than any particular frequency of the sound. Depression, anxiety, sleep disturbances – all are connected to the static noise. There are two types of tinnitus: objective and subjective. Generally, static noise is a form of subjective tinnitus. This type of static noise cannot be heard by anyone other than the afflicted person. In some rare cases, it can be heard via stethoscope, while in even rarer cases the static can take the form of an otoacoustic emission within the ear canal. 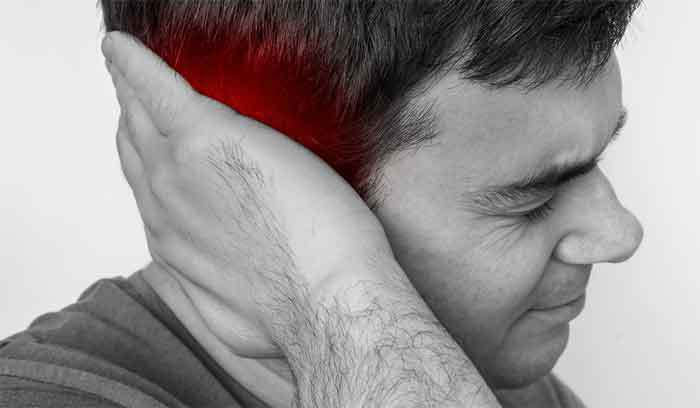 Subjective tinnitus is the most frequent form of tinnitus, and the appearance of the static noise in ears is a consequence of gradual hearing loss. Objective tinnitus is extremely uncommon. It is characterized by noise audible not just by the patient, but also by other people as well. This is caused by faint high-frequency sounds produced by the inner ear, and they are known as spontaneous otoacoustic emissions. Otherwise, it can be caused by involuntary twitching of one or a group of myoclonus muscles. Since static noise is not a sickness but a symptom, regrettably, there is no cure for it. There are, however, ways to lessen its negative effects. Most of the people simply get used to it, but there are those for whom the static noise in ears remains a serious problem. There are cases where patients reported the persistence of the static in their ears even after completely losing their hearing (due to a tumor removal surgery). One the ways of preventing and lessening the influence of the static noise is to simply avoid places where noise is to be expected, such as concerts and sports halls. In case you’re working in the environments with high levels of noise, use earplugs to protect your ears. So far, the best kind of treatment for this annoying, though at times quite dangerous occurrence is CBT or Cognitive Behavioral Therapy. The therapy is effective and flexible, which means that the patient can either come in person or have an online therapy session. CBT benefits the patients by helping them to reduce the levels of stress caused by the static. Another effective type of therapy is the so-called Acceptance and Commitment Therapy. Relaxation techniques are also implemented, and there is another type of therapy called Progressive tinnitus Management, developed by the United States Department of Veteran Affairs. Hypnosis has proven effective in helping people coping with the constant presence of the static, and using white noise (transmitted via specially designed headphones) to counter its effects did the patients a lot of good. It would also be wise to check your blood pressure from time to time. High blood pressure can sometimes be the cause of the temporary ringing in your ears. Our chosen food or beverages can be one of the factors for the appearance of tinnitus. Decrease the salt intake, and try to reduce, if not completely eliminate, the use of stimulants, such as soda, coffee, aspirin or tobacco. If you’re suffering from the temporary appearance of the static noise in your ears, don’t take it for granted. Yes, it doesn’t necessarily need to be anything serious, but better safe than sorry. Use protective earplugs in noisy environments, have a nice, long rest, avoid exceedingly loud noises in the next 24 or so hours, and whenever possible, use hearing protection, and don’t expose yourselves to overly great amounts of stress. Also, exercise when you can, it will do you a world of good. As we can see, static noise in ears doesn’t necessarily be a cause for concern. In the great majority of cases, it is but a temporary annoyance, barely worth our time. However, there are situations when we should be concerned. If you’re working in high-risk, loud, and stressful environments, or you simply love blasting your favorite music on maximum volume, and you notice the presence of the static noise being there longer than usual, see a doctor right away. It’s all fun and games until someone starts losing their hearing, or develops even more serious problems.